“Ninety percent of federal contracts are being granted to companies whose headquarters are outside of Puerto Rico,” a new report says. Most of the billions of dollars in much-needed federal recovery funds disbursed to Puerto Rico in the wake of Hurricane Maria have gone to companies in the United States, even though federal laws call for the prioritization of local firms when granting contracts in a post-disaster scenario, a new report reveals. Experts at the Center for a New Economy (CNE) published a new report on Wednesday showing that of the more than $5 billion Puerto Rico has received between Sept. 20, 2017 and Aug. 22, 2018, nearly $500 million have been spent in granting contracts to Puerto Rico-based firms while more than $4 billion have gone to U.S.-based or other foreign companies. 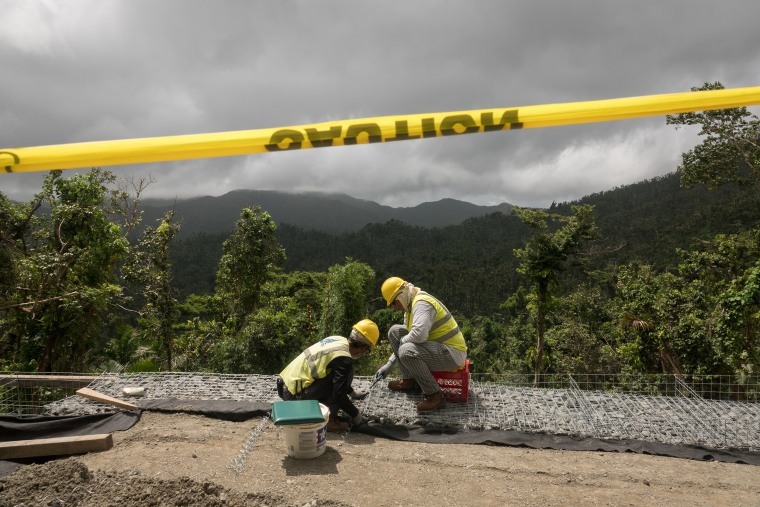 Of the 45 federal agencies that have issued recovery-related contracts in the wake of the hurricane, 24 did not award any contracts to Puerto Rico-based firms, said Raúl Santiago-Bartolomei, research associate at CNE. The Stafford Act, which is considered the centerpiece of federal disaster policy, states that “preference shall be given, to the extent feasible and practicable, to local firms” when awarding emergency response contracts during a major disaster or emergency. Researchers also examined how the provision was implemented in New Orleans after Hurricane Katrina and compared it to Puerto Rico. The data CNE collected shows that a similar pattern took place. Most of the federal recovery funds were used to award reconstruction contracts to out-of-state companies. The idea behind the provision is that a federal disaster response and a recovery plan should help jump-start a depressed economy by pumping millions of government funds into the local economy, promote local investment and encourage economic growth in the battered territory. “Everybody is talking about all the federal funds that Puerto Rico is set to receive and many see those as the Puerto Rican economy’s salvation but if these funds don’t have a real impact locally, then there’s little worth behind them,” said Miguel Soto Class, president and founder of CNE. According to resident commissioner Jenniffer González, who represents Puerto Rico in the U.S. Congress as a nonvoting member, the federal government has allocated more than $44 billion in federal aid to help Puerto Rico recover from Hurricane Maria — even though the Puerto Rican government estimates that a post-Maria infrastructural transformation could cost nearly $130 billion; this includes upgrading the electrical infrastructure and modernizing telecommunications and water systems. While just $5 billion in federal funds have been disbursed a year after Hurricane Maria, CNE said there's still time to ensure that local businesses have a meaningful share of recovery funds since the island has not received most of the money. CNE estimates the recovery may take at least a decade. As CNE experts continue to study the economic impact of Puerto Rico's post-hurricane reconstruction, they also recommend the government of Puerto Rico to be more transparent with the contracts they're disbursing as federal funds come into the island. They urge that the island government publishes recovery contracts in already-existing databases as they get issued. "There's an avalanche of contracts coming our way. We have to monitor that process and do due diligence," said Lamba-Nieves.